The Bulleit rye Old Fashioned cocktail at the Lobby Lounge, Four Seasons Houston. With a side of nuts, too. Better than Utz, I’m sure. I’m just kidding about the liquor part, although I did get to imbibe a bit when the Four Seasons Houston hosted the Houston Food Blogger Collective, an organization of all the best Houston food bloggers. Sure, I mainly blog about drinks, but sometimes I talk about the food, too. 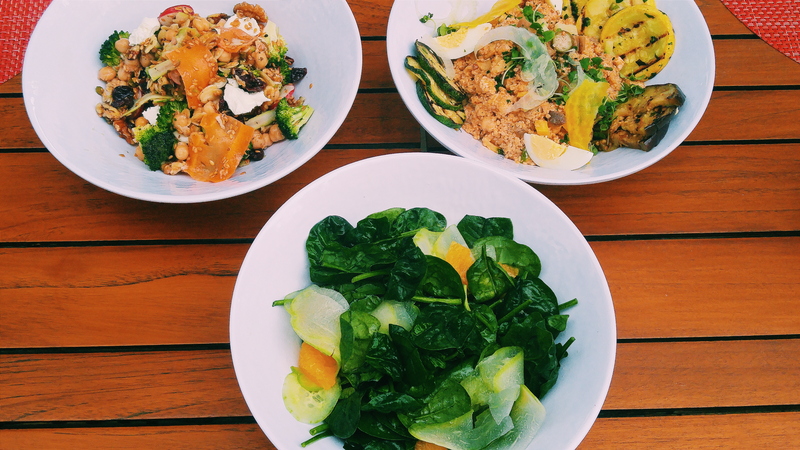 The signature power bowl, the southwestern smoked chicken and quinoa, and the spinach and chayote squash salad. All were tasty. all with a very complementary Monterrey Vineyards Chardonnay. The covered pool deck bar area on the fourth floor of the Four Seasons Houston. And they were all good. Absolutely everything. I could go on about the salmon and tandoori chicken, which were cooked perfectly, or talk about the crazy, pleasing consistency of the signature power bowl. The southwestern smoked chicken and quinoa was the highlight. With a bit a chickpeas and a bit of squash. But the one that stood out was the southwestern smoked chicken and quinoa. 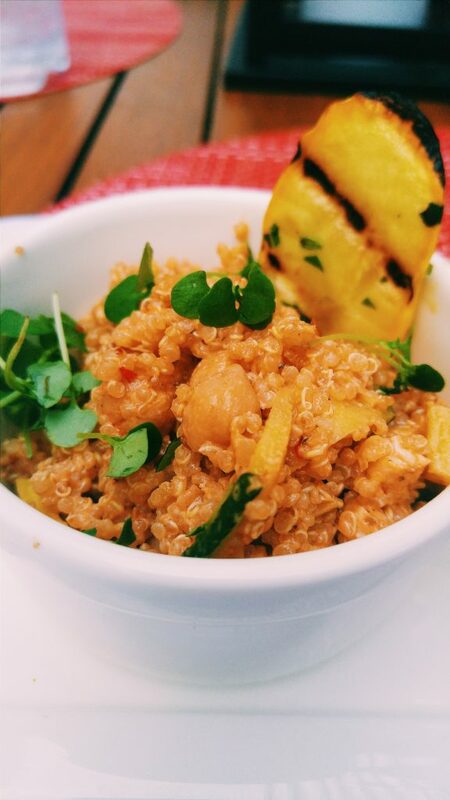 The first bite hits you with smoke, which seems unnatural in quinoa, but then it settles down into a hearty, fulfilling, tangy, and a little fiery salad that made me want to keep eating. I would order that dish every single time. It was seriously that good. 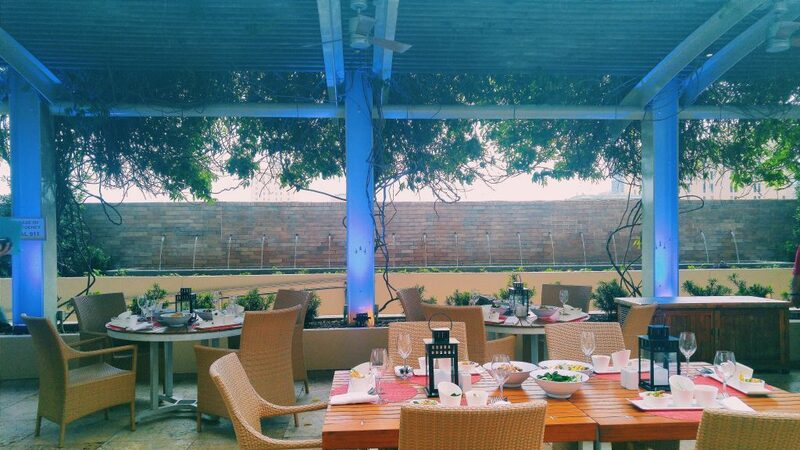 The Lobby Lounge menu focuses on classics with a only a few variations. The Lobby Lounge on the bottom floor is the place to go for drinks, though. They specialize in the classics. The menu actually includes not only an Old Fashioned (which any respecting hotel bar should include, dammit! 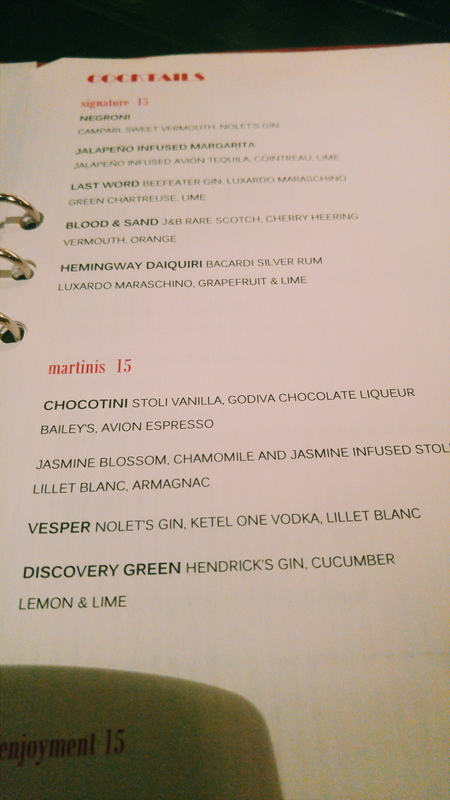 ), but also a Vesper, a Blood and Sand, the Last Word, and a Hemingway Daiquiri. In fact, I will venture to say that I have never seen those drinks on a signature cocktail menu, especially one as small as the Four Seasons Houston Lobby Lounge (it’s only a one-page menu). What it tells me is that these bartenders know what they’re doing when it comes to making cocktails. I would have no problem going in and asking for a gin martini and expecting one of the best martinis I have ever had. Probably stirred. With a lemon twist. The Old Fahsioned with Bulleit rye whiskey was great. 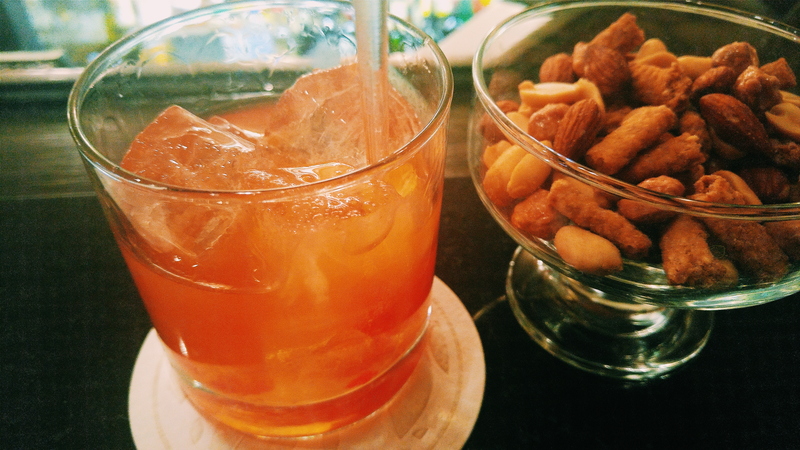 Sure, the bartender muddled the orange and cherry, but heck, even Dale DeGroff does that. And they used simple syrup, I believe. But that’s okay. It’s not the way I make them at home, but we’re talking about a hotel lobby here, people! And the drink was good, I must say. The bartender was friendly and knowledgeable, and I would go back anytime. Next time, though, I plan on tasting some of their whiskey library. They had quite the whiskey selection, and they let you make your own flight. I don’t know what the price is for that, but I would love to go in and try five Japanese whiskeys. Yes, I do believe they had five Japanese whiskeys. While a hotel lobby bar may not be the place you think of when you’re going downtown for a night on the town, I think the Four Seasons Houston may have changed my mind. It’s right down the street from the House of Blues, so why not stop in before I go see a show? I wish we still did the three-martini lunch thing, for I would totally do that here, but I would be very happy with a pre-show drink. Or stop in after I get my next pedicure and massage in their quite opulent spa on the fourth floor.